It’s time to stuff those stockings again, and, if you are like me, you’re mind draws a blank when it comes to what to put in there other than candy. So, I scoured the internet and found a whole bunch of great options, and I thought I would share them with you. A few of these stocking stuffers mixed with some candy is all you’ll need to fill a stocking that will have your kids smiling Christmas morning! 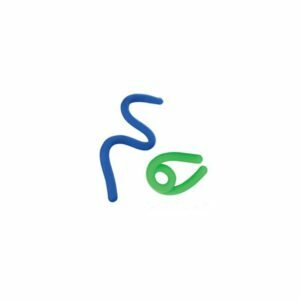 This Secret Message Invisible Ink Pen with UV Light will be fun for hours for your kids. 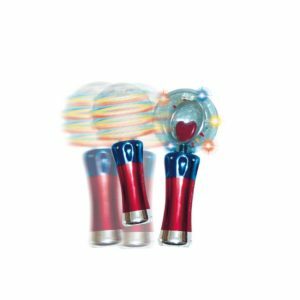 This Hog Wild Holiday Elf Popper would be perfect! He shoots little foam ball out of his mouth. Who doesn’t love Mad Libs? The Christmas Fun Mad Libs or the Best of Mad Libs are just a couple of the many good options they have for stocking stuffers. This Coupons from Santa booklet is a great idea! It will keep the fun of Christmas going throughout the year. Examples include: stay up and extra 15 minutes tonight, choose what we have for dinner, get a surprise gift today, no chores for a day, etc. Happy Face Squeeze Balls in assorted neon colors are a happy addition to any stocking. Legos Mixels are all the rage! Fun erasers like these moveable dinosaur erasers or these cute turtle erasers would be great to add. Kids love anything that glows in the dark. These Glow in the dark neon lizards and Glow in the dark putty are just a couple good options. Or how about a Glow-in-the-dark Slinky? Or you could get them these cool LED light-up glasses. 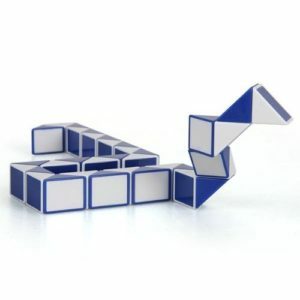 Do you remember the twist snake folding puzzle from when we were kids? Awesome stocking stuffer. I love those things! 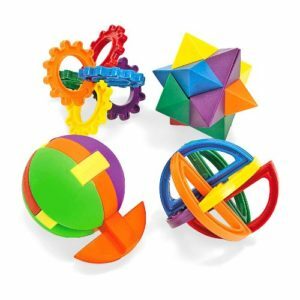 Challenge your kids with these Fun express plastic ball puzzles. 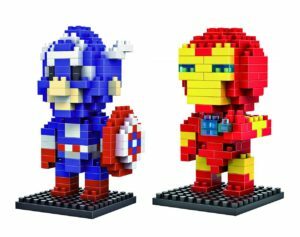 Or with these mini blocks in all their favorite characters. Card games like Uno, Skipbo, Pit, and Phase 10 are always great. 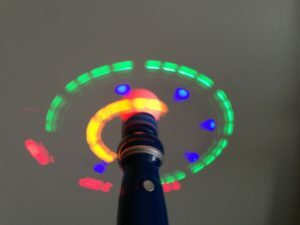 A kaleidoscope like this one or this one would be a fun addition. This Meteor storm globe or this Hand-held galaxy spinner are mesmerizing. 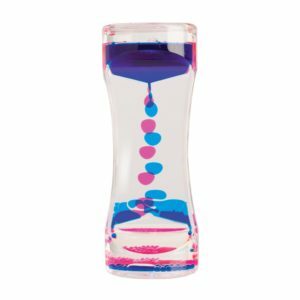 And your kids could stare at this Liquid Motion Bubbler for hours. I love Hyperflex Stretchy String and so do all my kids of all ages. It stretches forever without breaking. 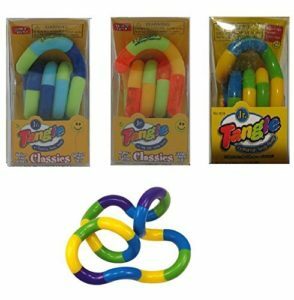 The Tangle Jr. 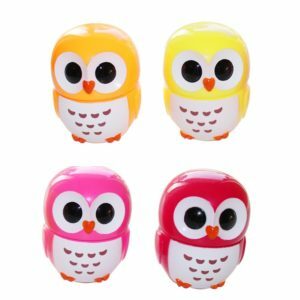 Original Fidget Toy is fun to play with. I have a daughter who loves to write. She will love the Metallic or Glitter markers from Crayola. I didn’t know these existed! These Little Kids No-spill Bubbles are genius! We can’t get enough of how stinkin’ adorable these Moccs and Mary Jane shoes are from the Coral Pear. Super cute and comfortable for both boys and girls. 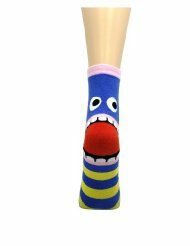 These monster anklet socks cracked me up. 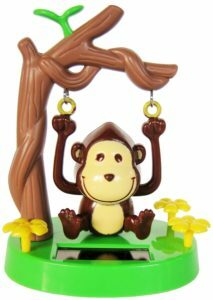 …and also this cute Solar Swinging Monkey is awesome. Now, you can always go with a theme. Choose something your child loves and run with it! 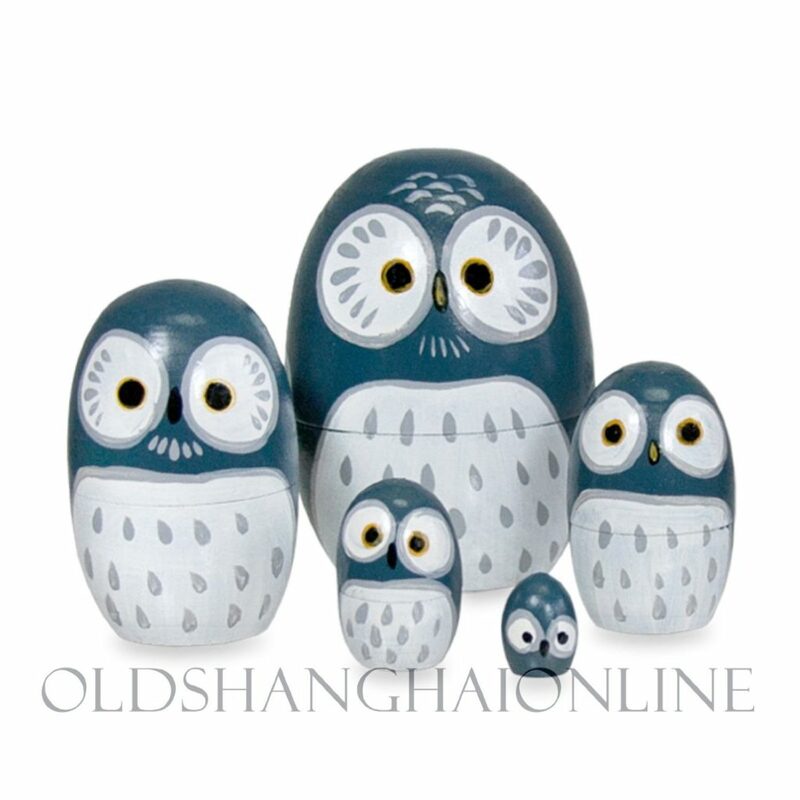 My daughter loves owls, so I found a bunch of great owl themed items, but you can find similar items in whatever theme you choose. This is just to give you some ideas. Try this Thomas the Train mini pack. My son is obsessed with trains and he plays with these little ones as much or more than his big ones. Um… Star Wars is coming back in a big way, so it might not be a bad idea to go in that direction if you have a kid who is into it. Here are some classic Star Wars items for their stocking because if you are a good parent (according to my brother) they will be thoroughly familiar with the originals. And here are a few options for Star Wars: The Force Awakens to tie it all together. 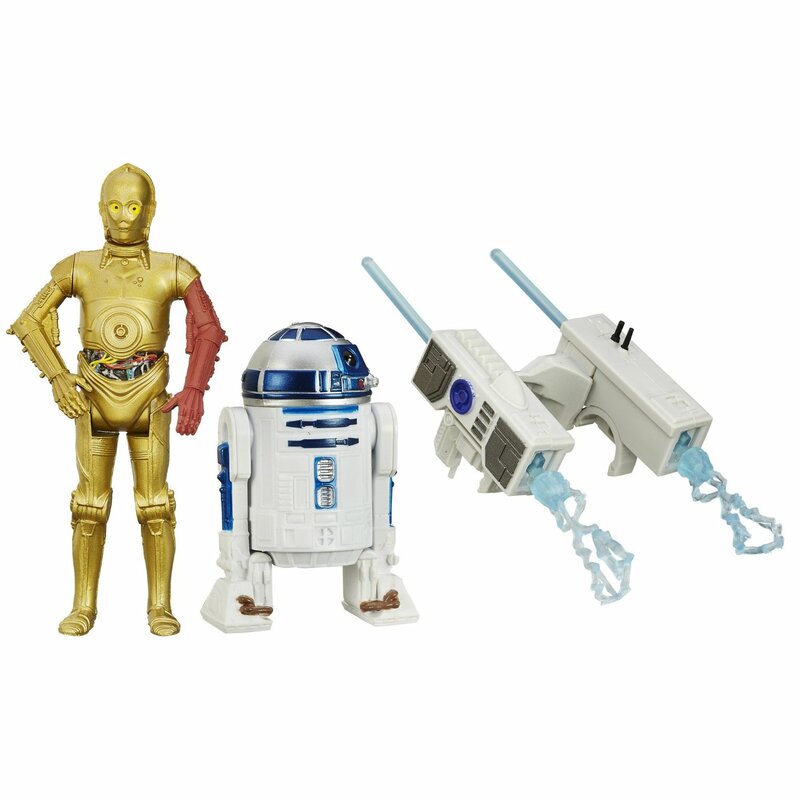 They have every character you could ever want and more to fulfill your little Star Wars fanatics heart’s desire. As far as candy goes, get some Albanese Gummi Bears– trust me on this one. These are the BEST gummi bears you will ever put in your mouth. buy the big bag so you can enjoy some yourself. 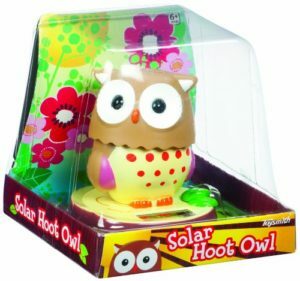 And for all kinds of awesome themed, novelty candy, you have to check out the Kid’s Candy Shop at ohnuts.com. Lots of great stuff there that would be perfect for their stockings! One more thing you can add that won’t cost you a dime, but might mean more to your kids than anything else is a note from you telling them that of all the gifts you’ve been given over the years- they are one of the most precious you have ever received. End the note with all the things you love and appreciate about them. Your kid will love it. 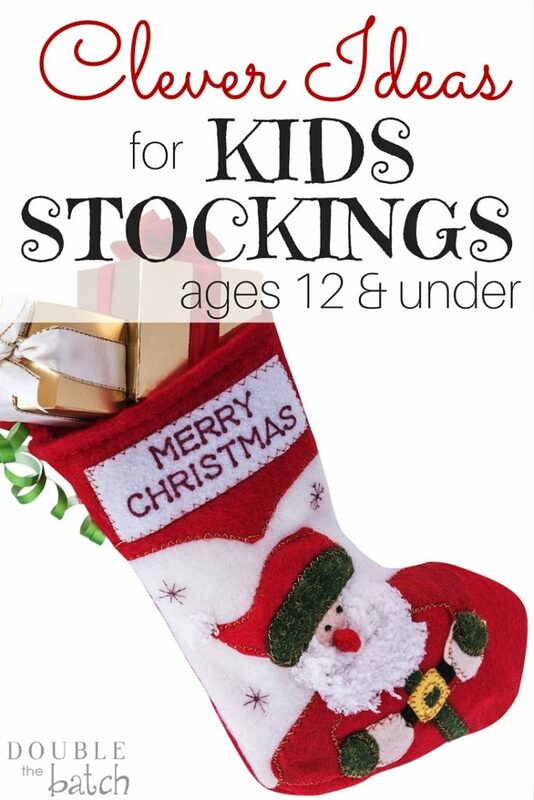 For even more stocking stuffer ideas, including great ideas for your teenagers, check out Katie’s awesome Stocking Stuffer Guide for Toddlers to Teens!